Soil Association GB organic certification GB5. This item is in stock and ready for despatch. We only use the finest quality organic marshmallow root. The specification we use is the same as that required by many professional herbalists. The tincture strength is high with a ratio of marshmallow root to pure grain alcohol of 1:3. We use alcohol as this is the most efficient method to gain the synergistic benefits of the whole herb. Suggested intake levels are very small 1ml to 2ml. Suggested intake for older children is up to 0.8ml. This product is a botanical food supplement. 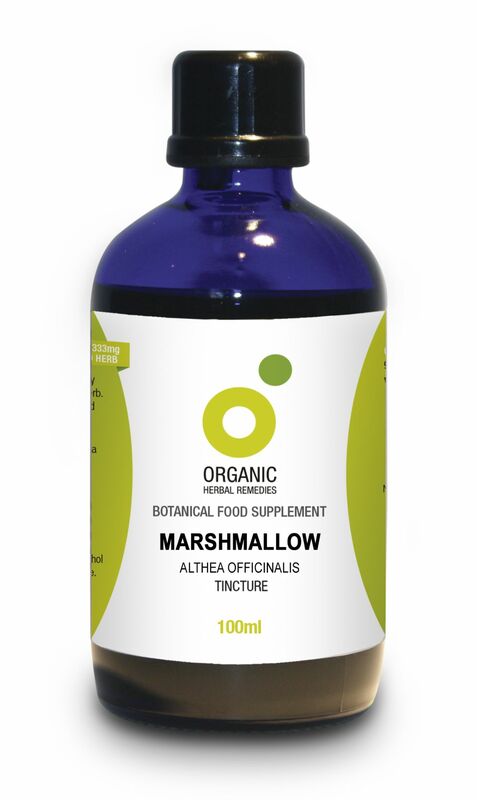 The regulations prevent us from telling you the benefits and traditional uses of this Marshmallow tincture however we still believe in free speech, so enter the search "benefits of marshmallow" into Google (UK pages) and click on the first natural result or try our useful links page.